This morning the market was opened with a gap down, which means that the price may continue moving downwards. I think today the pair may renew the minimums reached last Friday and start a corrective movement. I remind you, that it’s the fifth wave, that’s why the correction is very unlikely to move very high and the market may start moving towards the level of 1.2640 right away. After that I expect the pair to form a narrow consolidation channel and then continue falling down. The GBP/USD currency pair continues falling down. Today, in my opinion, the price may break the level of 1.6000, form a narrow consolidation channel, and then continue moving downwards to reach the target at 1.5960. 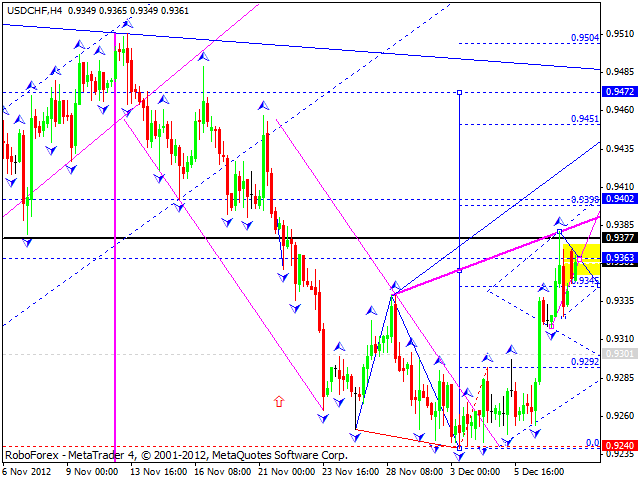 The USD/CHF currency pair continues forming an ascending structure. Today the price may reach the level of 0.9400 and then start a slight correction, which will confirm a predicted target. Yet, in my opinion, this wave may be completed without any serious corrections. 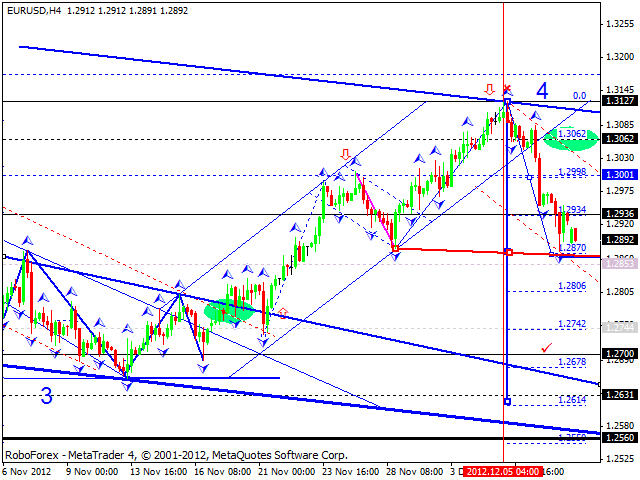 The predicated target is at the level of 0.9470. The USD/JPY currency pair completed one more ascending structure. I think today the price may start forming a new descending structure towards the level of 81.75. 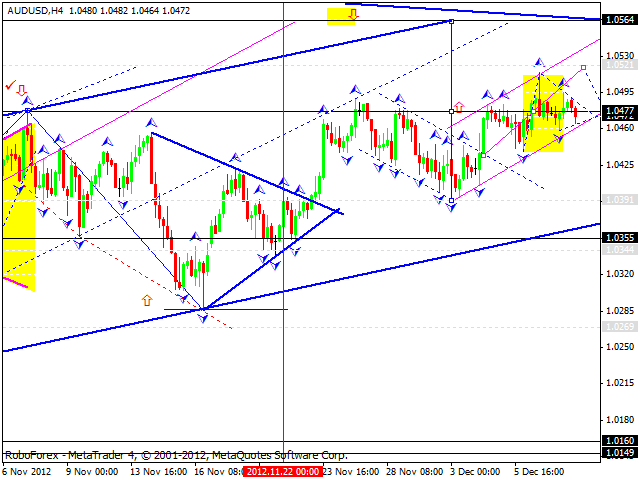 Only after that I expect the pair to form reversal structures in order to continue moving upwards. 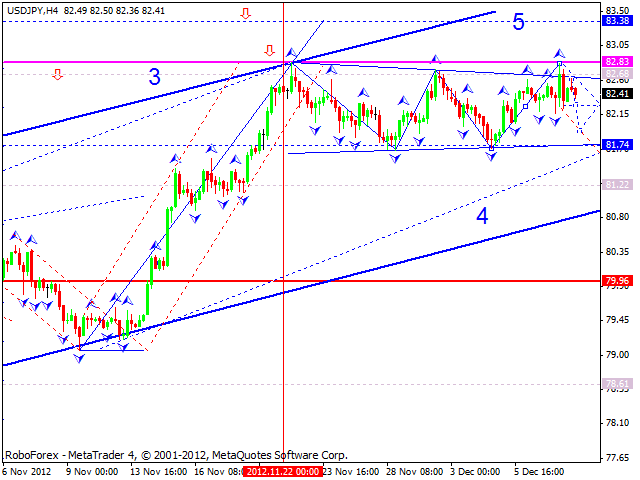 The target is at 83.40. Australian Dollar is still moving close to the level of 1.0480. Today the pair may grow up a little bit, reach the target at 1.0520, and then return to the level of 1.0480. 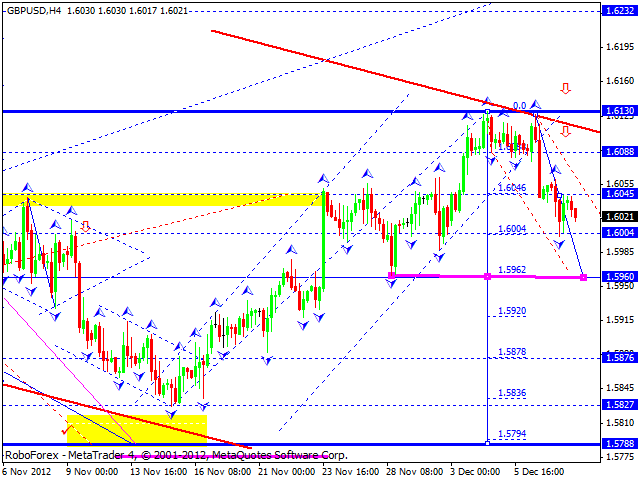 Later, in my opinion, the price may continue growing up towards the target at 1.0560. Gold is moving upwards, today we can see that the price is testing the “neckline” from below. The structure of the latest ascending movement, in my opinion, implies that the instrument may reach the level of 1709. 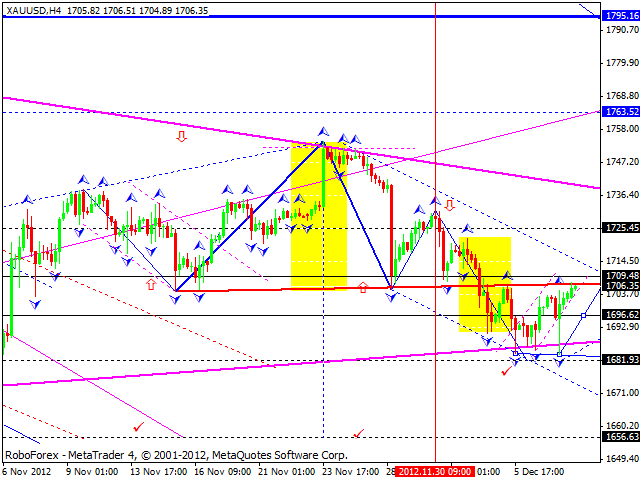 Later I expect the price to continue falling down towards the target at 1656.